Was it all a misunderstanding, or deliberate obfuscation? Cai Jian, an expert from the Center for Korean Studies at Fudan University in Shanghai, said the whole episode was part of an elaborate game of “psychological warfare or bluffing” by the United States, arguing that Washington never really intended to launch a military strike on North Korea right now. “At the peak of the standoff, psychological warfare is very important,” he said. Ross Babbage, a non-resident senior fellow at the Center for Strategic Budgetary Assessments, a Washington-based think tank that focuses on the military, said the move may be “military signalling” from the U.S.
Babbage said it was also possible the United States administration had decided to give China a little time to put its own pressure on North Korea before sending the carrier strike group north: Trump met his Chinese counterpart Xi Jinping on April 6 and 7 and spoke by phone on April 11, and may have wanted to give the Chinese some breathing space to before “rattling the bars,” Babbage said. Nor should the aircraft carrier’s presence, alone, be given too much weight, he added, since any early strikes on North Korea would likely have been carried out by long-range aircraft. In any case, the carrier strike force may indeed be finally heading north now. 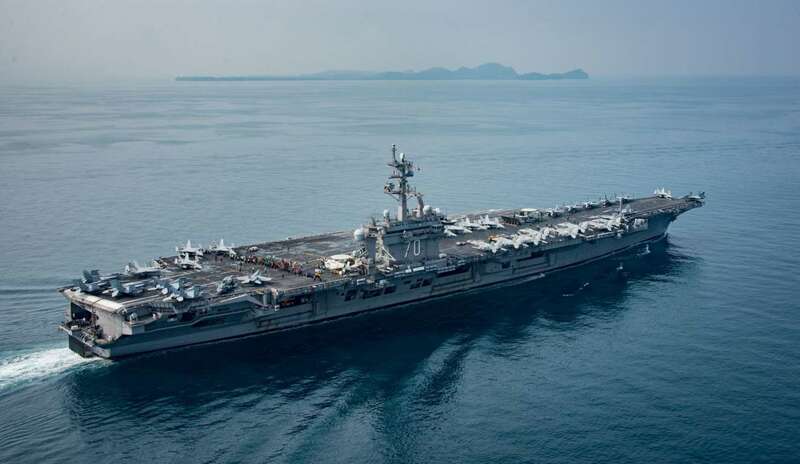 CNN also cited U.S. defense officials as saying the aircraft carrier will arrive off the Korean Peninsula at the end of April.